Fixed wireless internet is an accomplished method of business connectivity that can provide your company’s location with broadband internet access without the use of phone or cable lines. Fixed wireless is a microwave-based technology that allows you to send and receive high-speed data between two fixed sites or locations. It is not mobile technology and should not be confused with it. Nor is it Wi-Fi where bandwidth is shared on a “one to many” basis. There are many compelling advantages for fixed wireless as compared to wired services such as fast installation free from trenching and construction, scalable bandwidth, true path and network diversity, and easy Ethernet hand-off. Fixed wireless relies on microwave signals that are used to connect customers to a point of presence (PoP). These provide high-performance bandwidth speeds that range from 1.5Mbps to 1GIG. Unlike satellite, these signals have much lower latency and are not as affected by inclement weather which allows us to offer an industry leading service level agreement (SLA) boasting 99.999% uptime. Connect your business with high-speed fixed wireless for an exceptional online experience. Click here to view our service areas. Businesses across the country experience a faster, dedicated connection thanks to One Ring Networks Fixed Wireless Internet. With speeds from 5Mbps up to 1Gbps, your employees can download, upload, browse and stream as needed. Our fixed wireless network provides point-to-point access to single or multiple locations through microwave waves and is an excellent alternative to leasing fiber or traditional copper services. Bandwidth ranges from 1Mbps to gigE and above and the technology can support advanced hosted PBX systems utilizing VoIP. Fixed wireless is also easily scalable for temporary needs. Our One Ring Networks engineering team architected a fully IP (Internet Protocol) based carrier-grade fixed microwave network, utilizing multiple redundant Gigabit connections, to deliver a premier broadband service. The comprehensive network design is based on a “two-tier” core and access approach providing the highest levels of Quality of Service (QoS), security and reliability. To achieve full redundancy for the core network, each base station, which facilitates broadband communication between the end user LAN and the core, is connected to the rest of the network via multiple Gigabit connections, utilizing high capacity microwave backhaul technology in a ring architecture. In addition, we have created multiple redundant Gigabit connections for diverse tier 1 upstream access across the fixed wireless network. Our industry-leading SLA assures performance for all your real-time services such as cloud computing, VoIP, streaming video and VPN. We’ll help you assess your organization’s bandwidth needs and provide you with a competitive quote for your office location. Our team will determine the ideal location to install wireless equipment on your building. Installation can be completed within 14 days. We’ll set up a point-to-point wireless link from the antenna on your building to our nearest fixed wireless base station to guarantee the strongest signal. Our on-site engineers will help your team connect their devices. After this, you can stream and surf as you please! Our broadband service works seamlessly with your LAN. 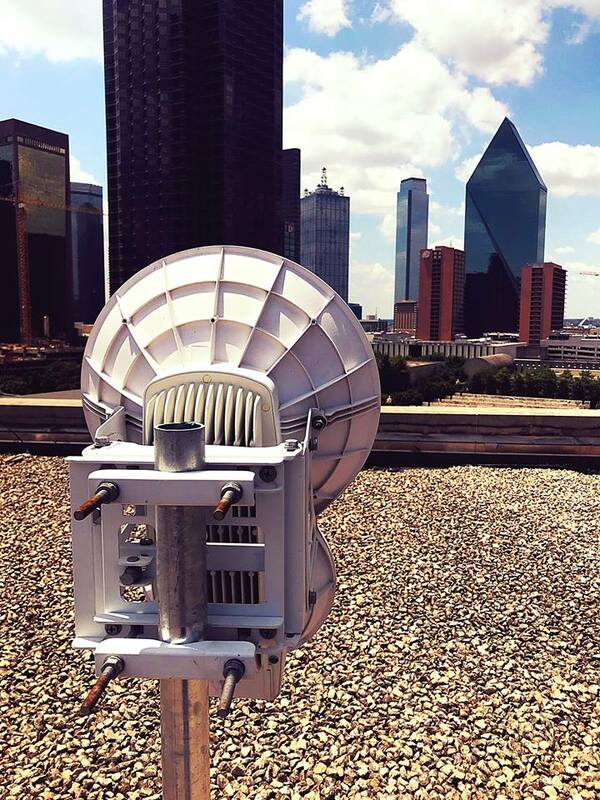 Our core network links to a small unobtrusive microwave antenna on your roof via our state-of-the-art access network that leverages advanced standards for wireless broadband communications. From your antenna, your One Ring Networks service is routed via an Ethernet cable to your data room, and connects directly into your LAN (Local Area Network). The fixed wireless installation is quick and easy. Typically, we can have your service up and running reliably in as little as 2 weeks. We lead the industry in reliability with our rigorous testing and standards. As an engineering and knowledge-driven internet service provider, we set the bar extremely high when it comes to quality, performance and inter-operability standards. We rigorously test all fixed wireless broadband equipment and protocols to ensure peak performance. With product development savvy and vetted analytics, we actively guide product improvements for our manufacturers in both functionality and reliability. Advanced security measures keep your data safe. For enhanced data reliability and security, our network utilizes multiple distinct layers of security including 128 bit Advanced Encryption Standard (AES) and client authentication protocols, thereby making it as safe as the best wired network. Please contact a member of our team at 888-650-3030 if you would like to find out more information about our fixed wireless internet solution.